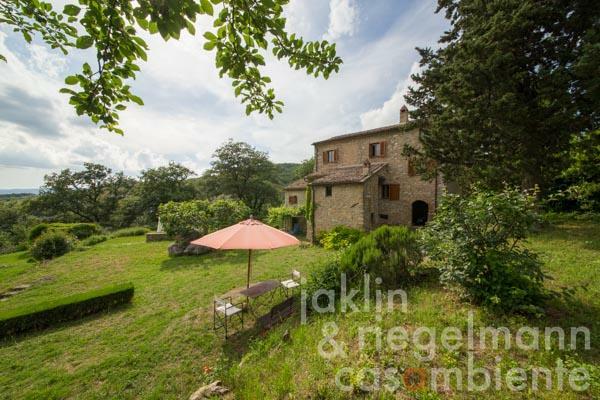 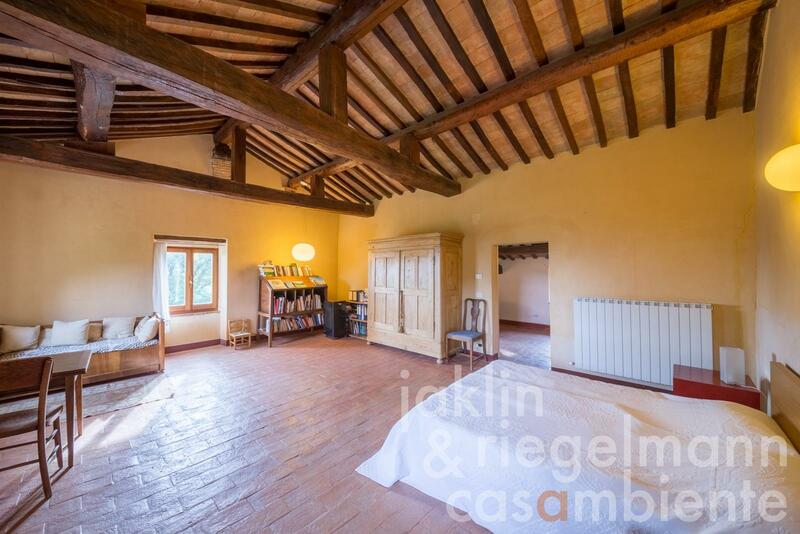 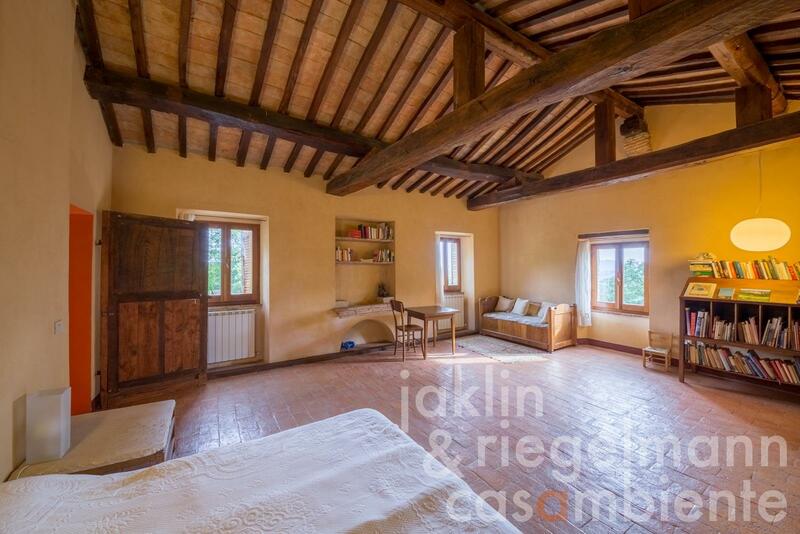 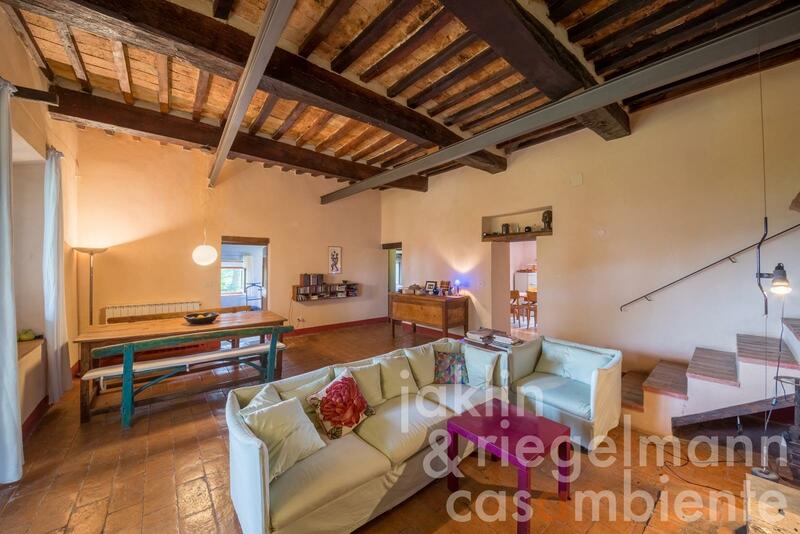 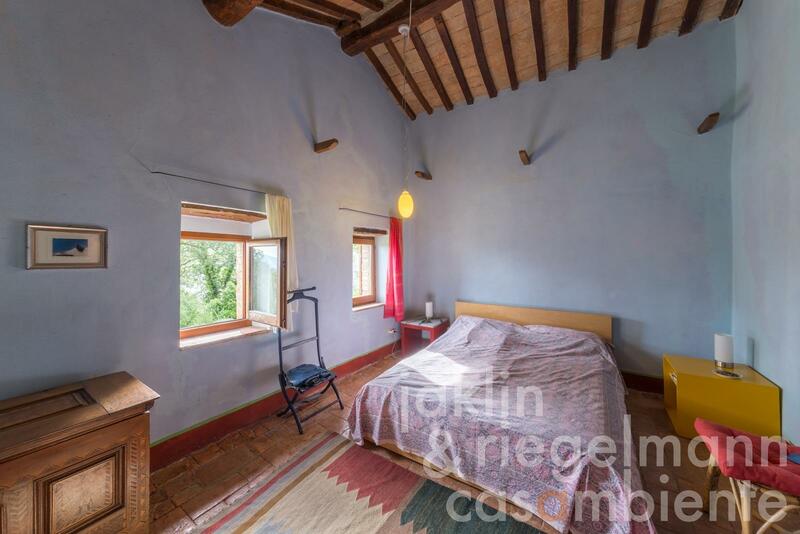 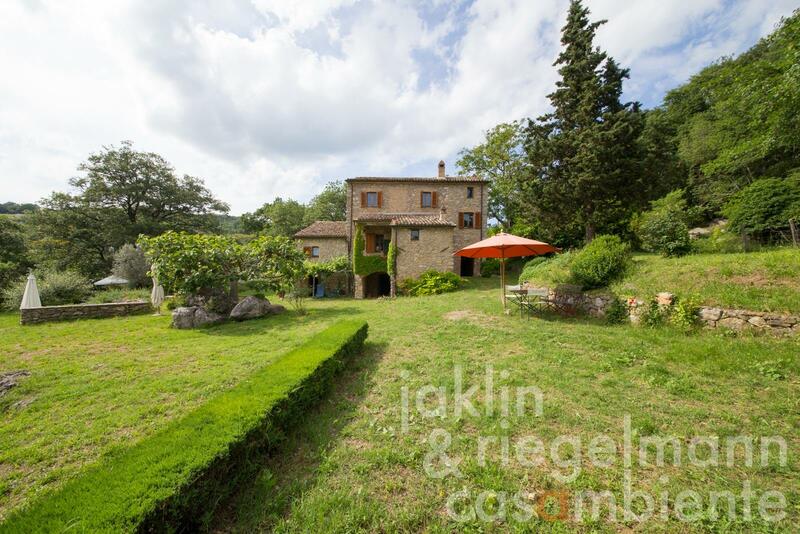 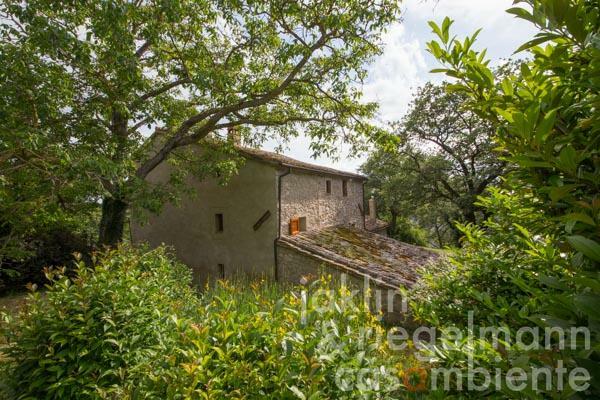 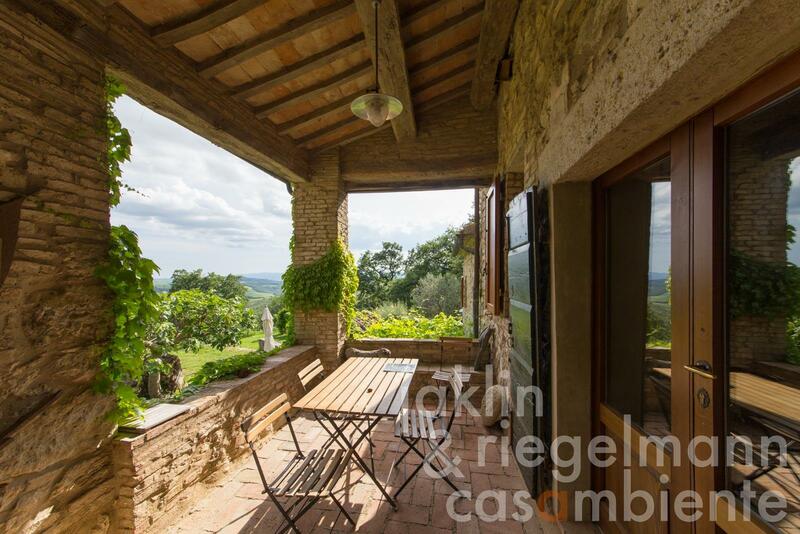 This restored house of natural stone is situated in a quiet area near San Casciano dei Bagni and is surrounded by magical forests. 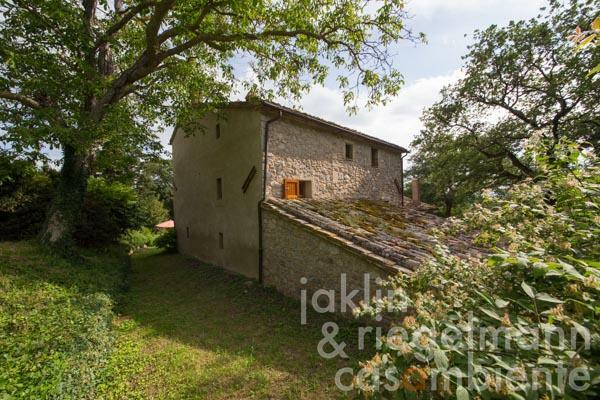 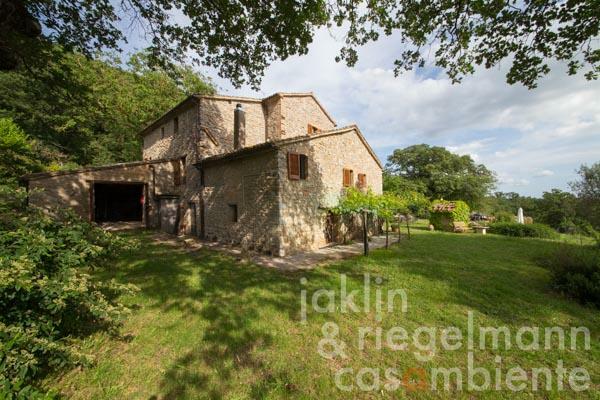 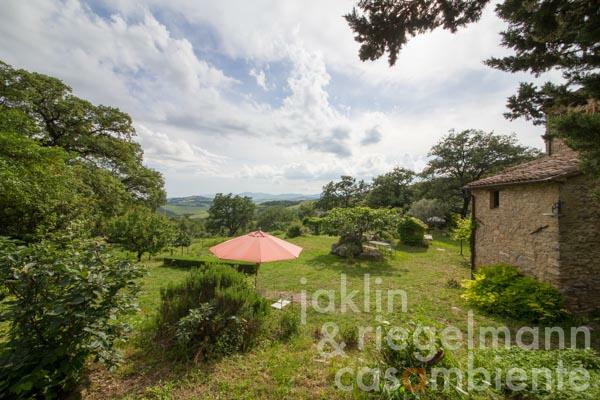 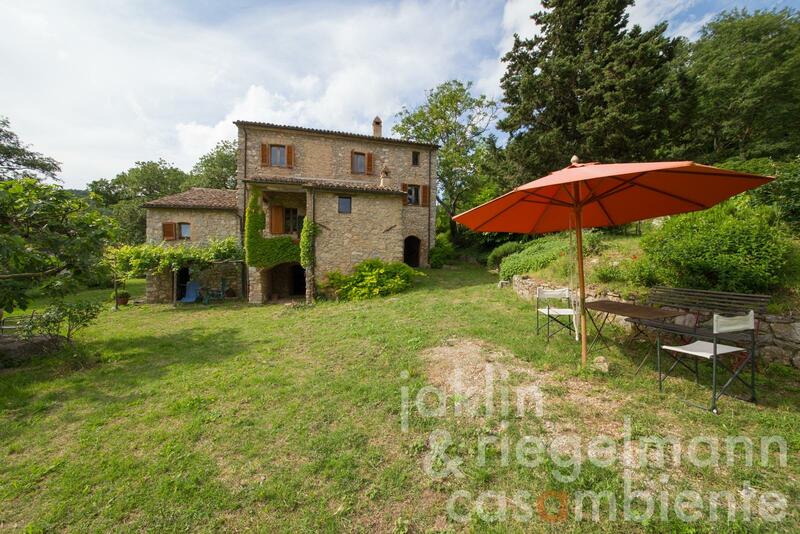 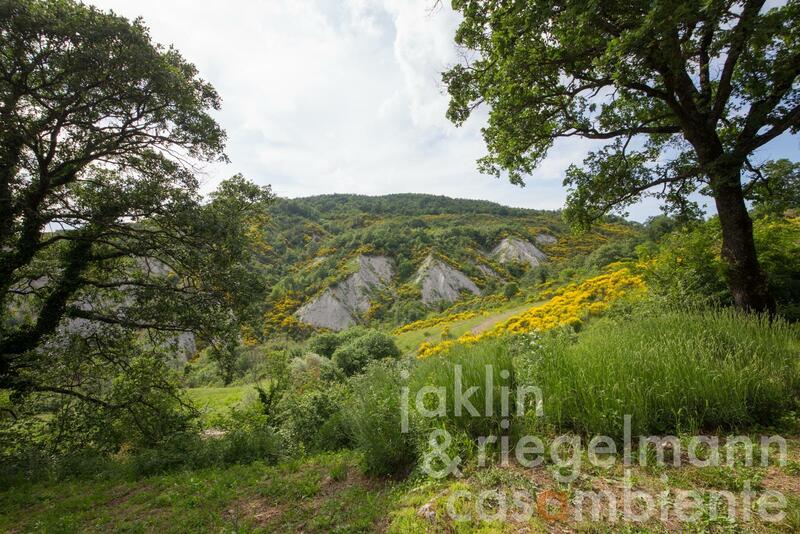 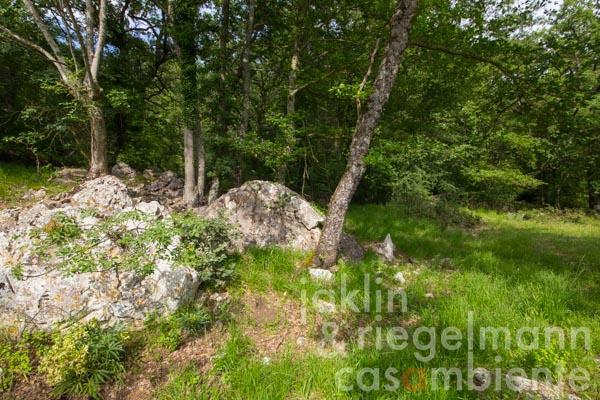 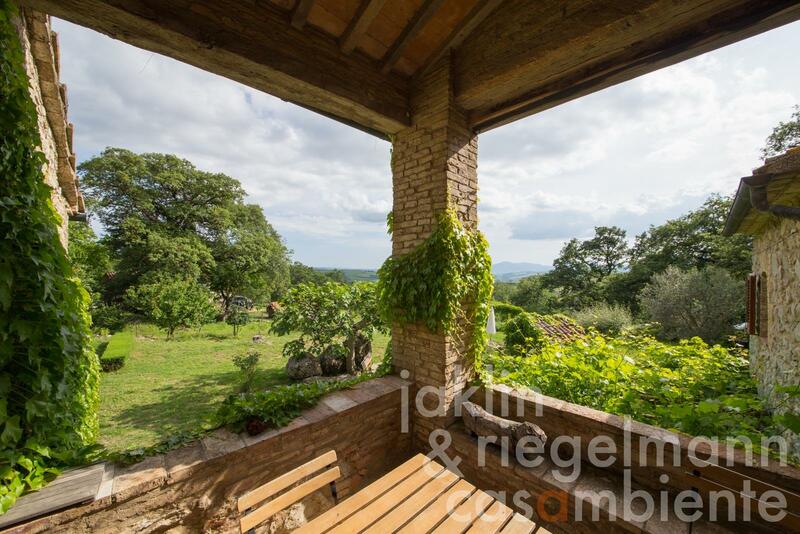 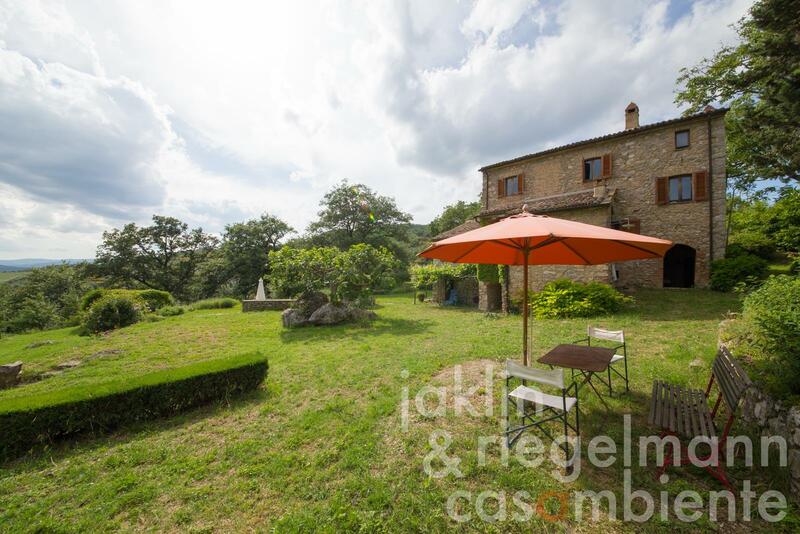 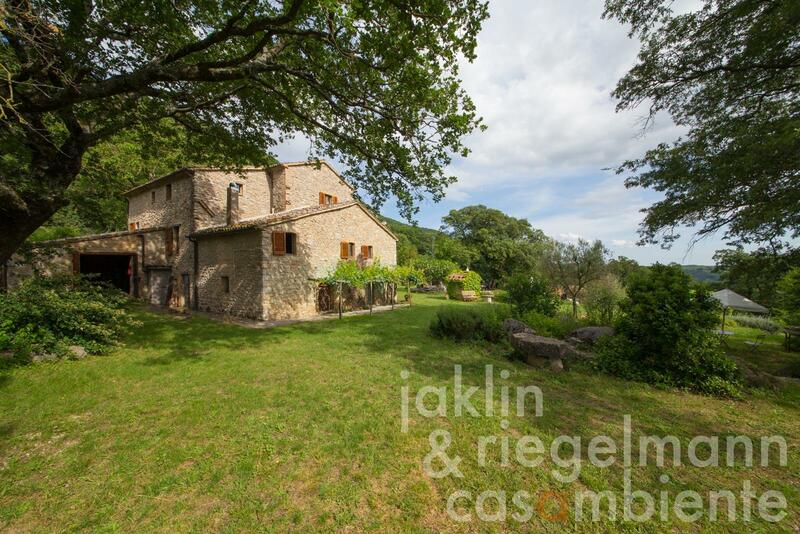 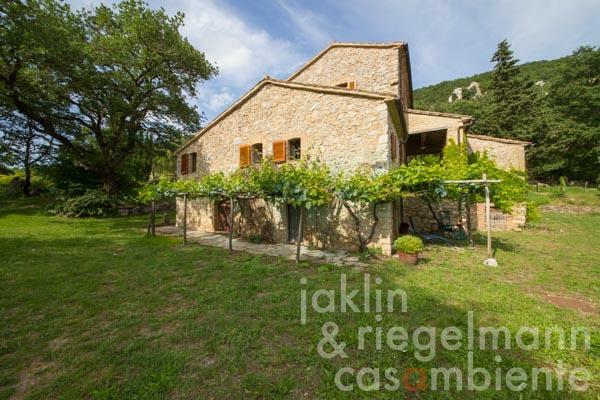 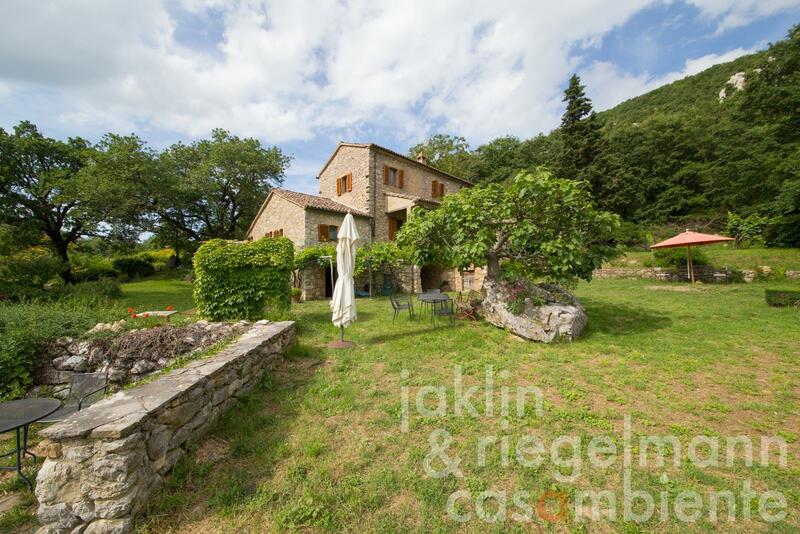 The property comprises of a main house of about 290 m², 48 hectares of land and another small natural stone house of about 80 m², which has been ground renovated and is in rural use at the moment. 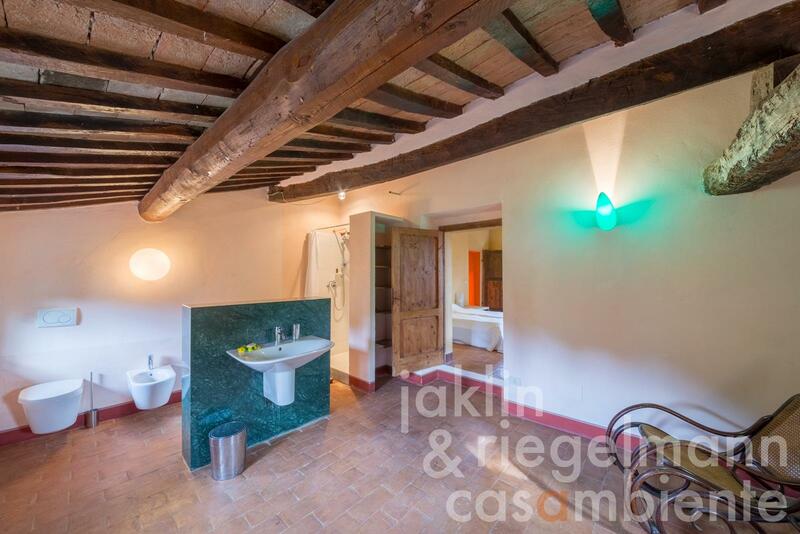 The main house has been carefully restored and still expresses its 17th century history as a hostel for pilgrims or visitors of the nearby thermal baths. 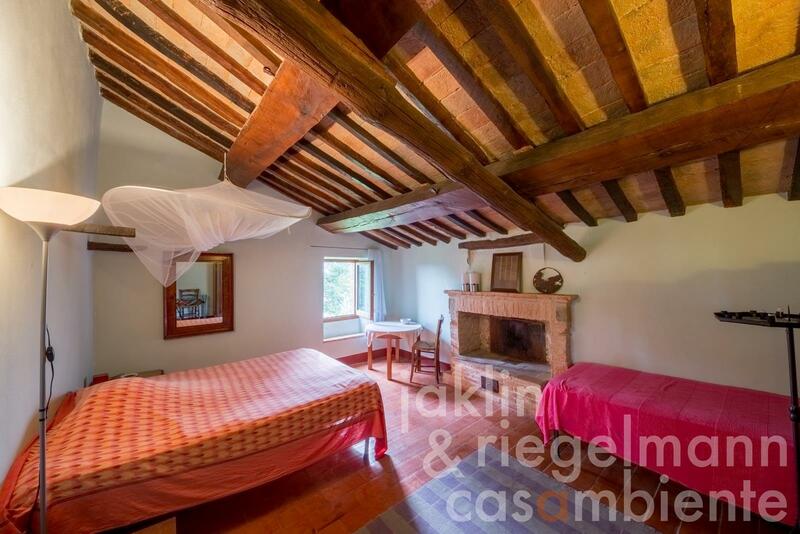 On two floors there are, beside the large living area with kitchen, three bedrooms and two bathrooms available. 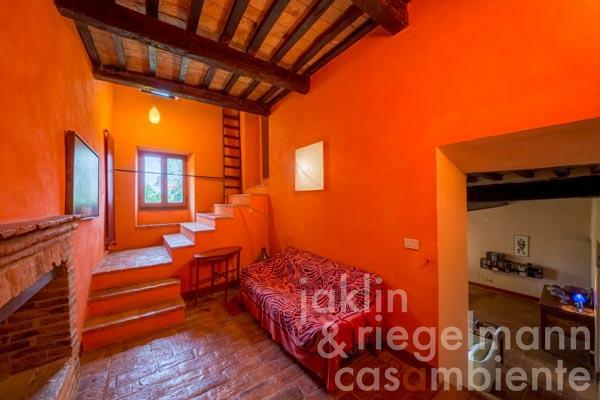 There is also a garage. 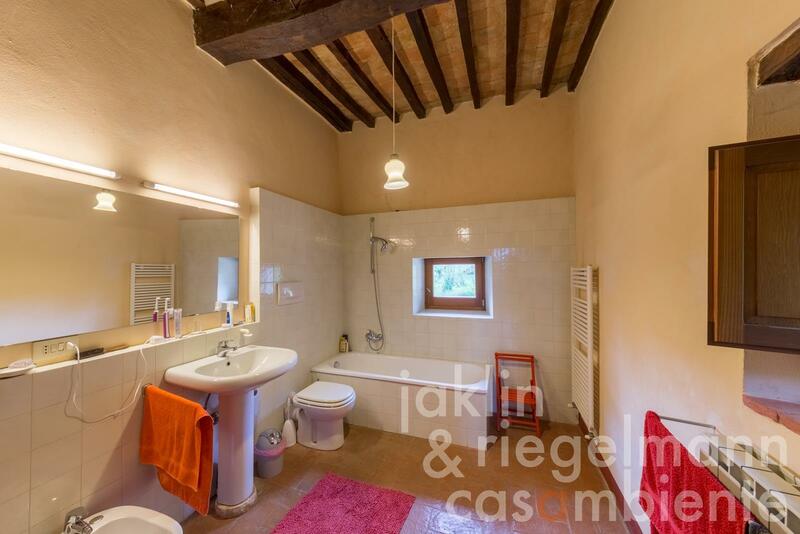 Another 140 m² of annexes and former stables can still be reconstructed. A pool can be approved. The exceptional location is marked by scenic contrasts: a Crete landscape, about 10-11 ha of enchanting forest with large boulders and a truffle area. San Casciano dei Bagni with its thermal springs is less than 5 km away, Rome 160 km. 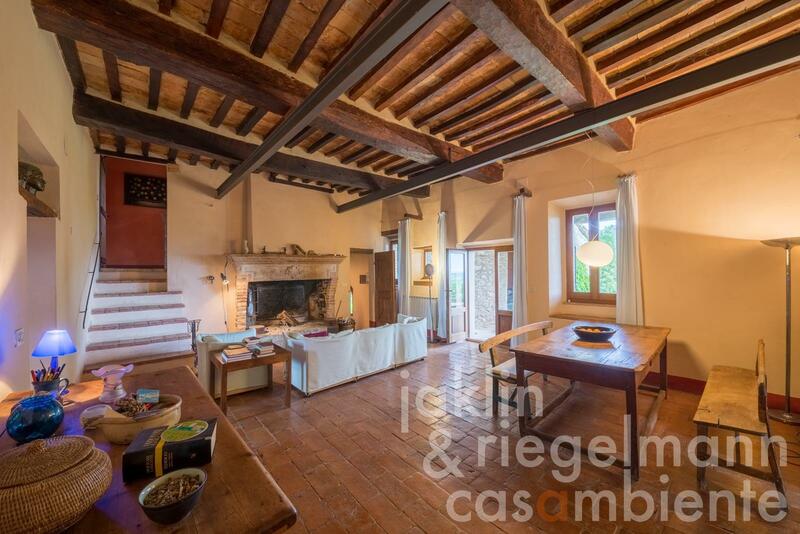 There are 3 purchase options: a) The main house with about 6 ha of land for EUR 690,000; b) both houses with negotiable size of ground for EUR 950,000 or c) all buildings with 48 ha of land for EUR 1,100,000. 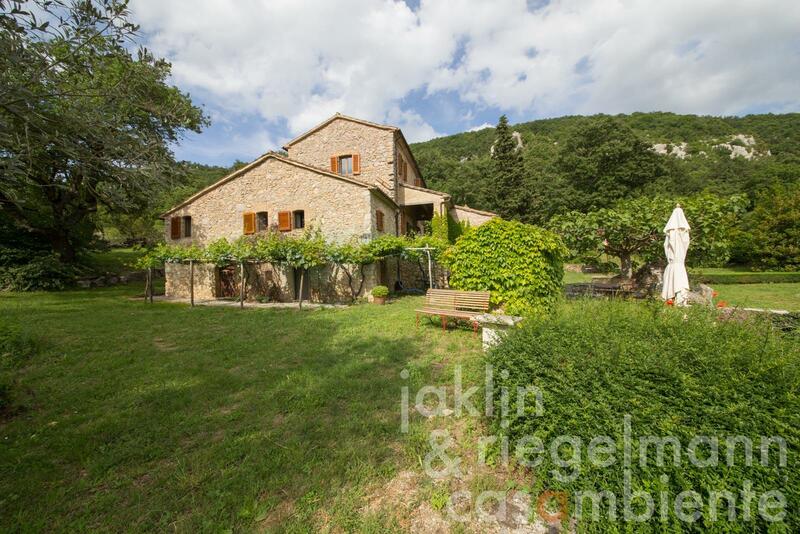 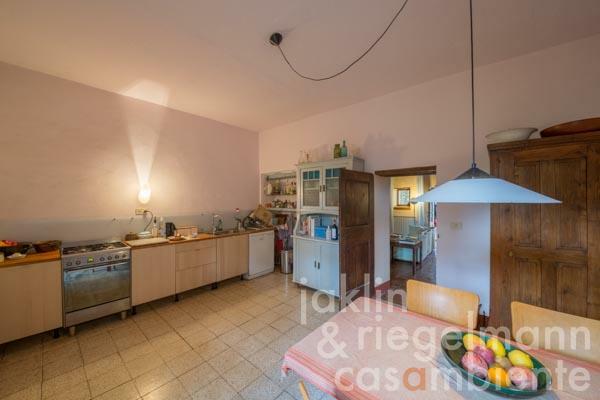 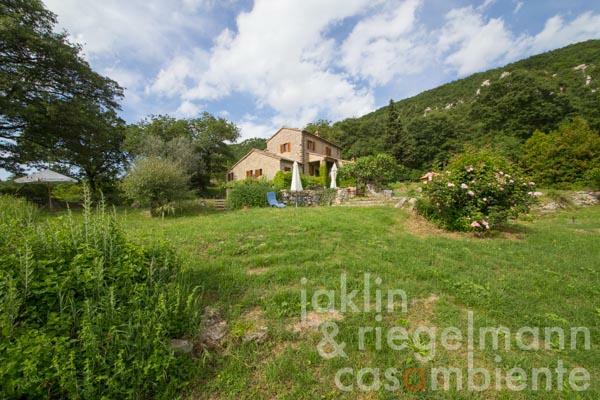 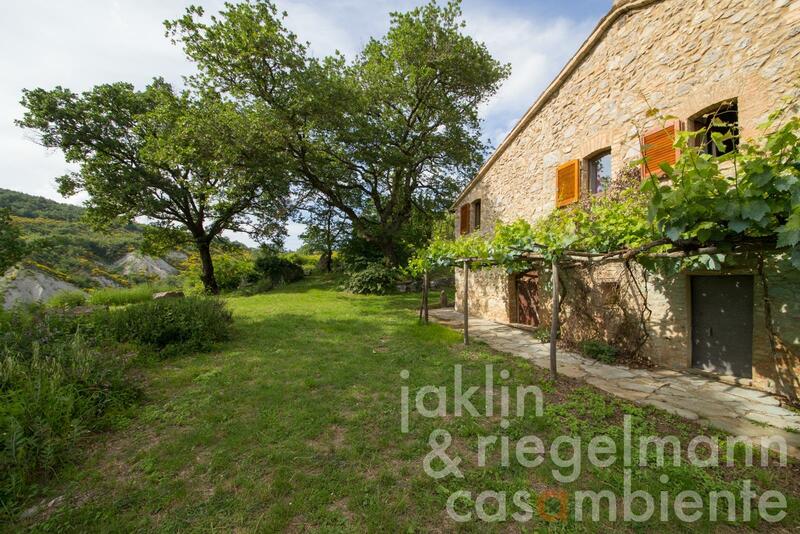 Electricity, own well water, central heating, fireplace, gas tank, garage, private parking, olive grove, garden.